Unlike primitive bots you are offered to create using various bot-building platforms. Smart bots understanding the natural language would be much more effective for your business. A complete sales or customer support department can be easily replaced with 1-2 persons who would train your bot to communicate with customers and buyers. 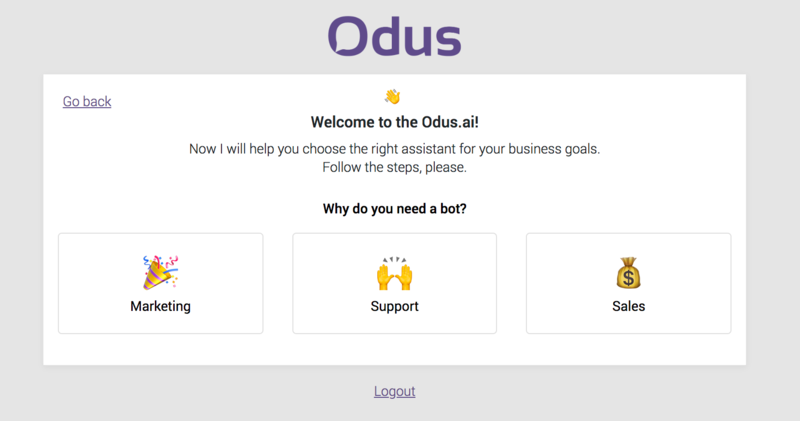 In this article I will tell you where to start to create such an assistant using Odus.ai. You need to sign in here to start. Just use your Google or Facebook profile. No passwords or emails required. This immediately brings you to the setup wizard. It will help you go through all key configuration steps and enter the basic information required. You won’t have to search for anything or waste any time. 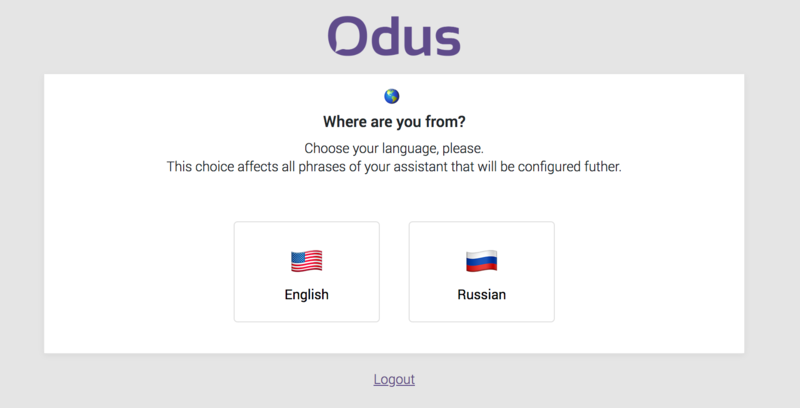 First, select your assistant’s language. This choice only affects bot&apos;s messages, without changing the assistant’s interface language. Select an area of application for the bot. This choice will affect your template’s basic set of functions. Don’t worry, you can add more functions from the catalog or delete unnecessary ones any time. Select the scope of your company’s business. If the scope of your business isn&apos;t yet on the list, don&apos;t hesitate to choose Service company option. It&apos;s a basic template that would fit any business early on its way to automation. At the next step you need to fill out basic information on your company. This information will be automatically distributed and assigned to the assistant&apos;s answers, where appropriate. So pay attention while filling out the fields. For example, your corporate email address will be used to receive request letters from your customers. Congratulations! Your assistant is already creating. Let’s go to the last configuration step. You need to connect your social networks, messengers, and install the widget on the website. You may skip this step and fill it out in the settings section later. But I recommend doing it right away. You have two subsections – messengers and a web widget. Separate articles on how to connect each messenger and the web widget are posted here. I recommend you to read them. Following through all the steps of the setup procedure will take you to the assistant control panel. The first thing to do is to configure questions and answers. This is the core of your robot. It is this information that allows the robot’s neural network to learn and begin to understand what your customers write or say. The more questions and answers the robot receives, the more intelligent the robot is. The template already has a set of basic questions and answers. Check them and make corrections if required. As the first step, complete the welcome message and answer to the unrecognized message. They are located in the Constants section. 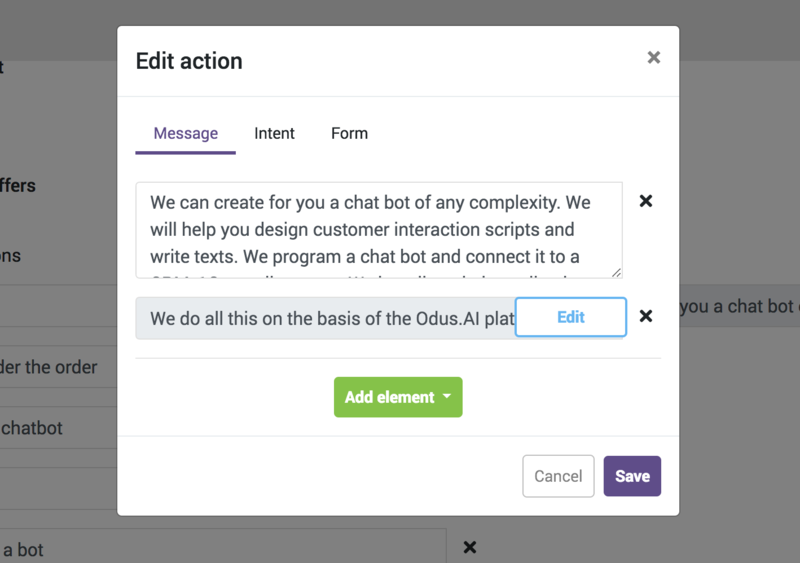 This step is essential so that the bot could start a normal dialogue and answer even if the customer’s message is not understood. Your assistant has a set of different modules or plugins. Call them as you like. Each plugin is a set of questions and answers on a given subject. 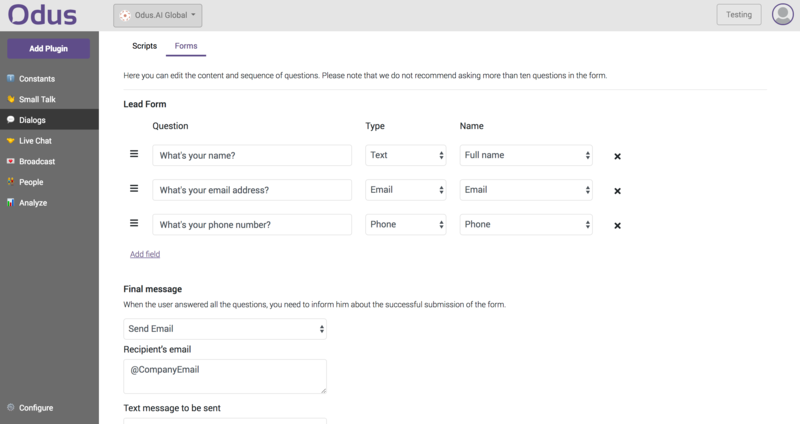 A plugin can contain a sequence of forms for creating surveys, questionnaires, and lead capture forms. 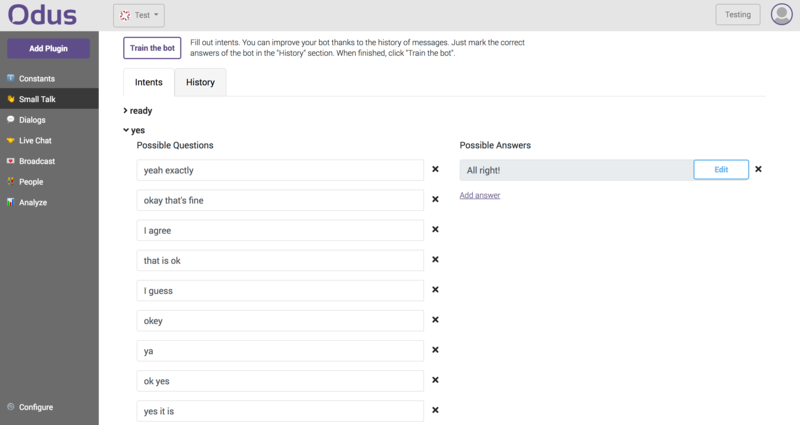 Also, a plugin comprises integration with forwarding of the filled out questionnaires to your corporate email. Questions and answers are arranged in subject-based chains – intents. Every intent may contain an unlimited number of questions and answers. Let&apos;s talk more on the answers. Multiple answers: If you add multiple answers, the bot will show them in random order rather than all at once! Several messages in the answer: You can add a chain of several messages, photos and so on in each answer. They will be sent in a predetermined sequence, all at one go. 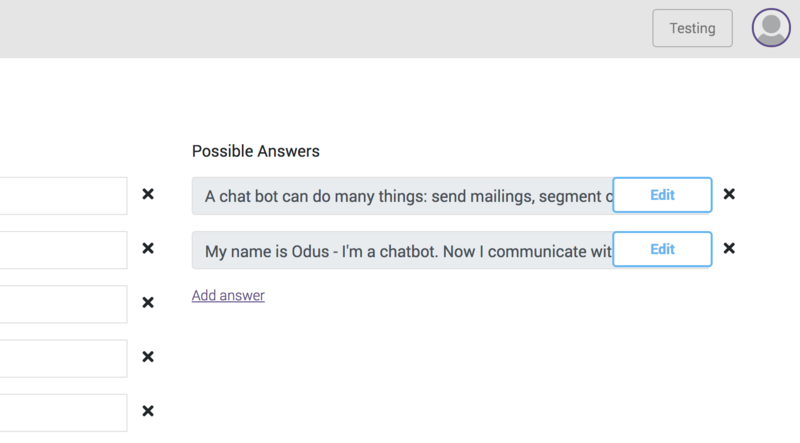 In addition, the answer to the customer&apos;s question can redirect him to another intent in the same, or another plugin, and also run a static form to fill in the survey. 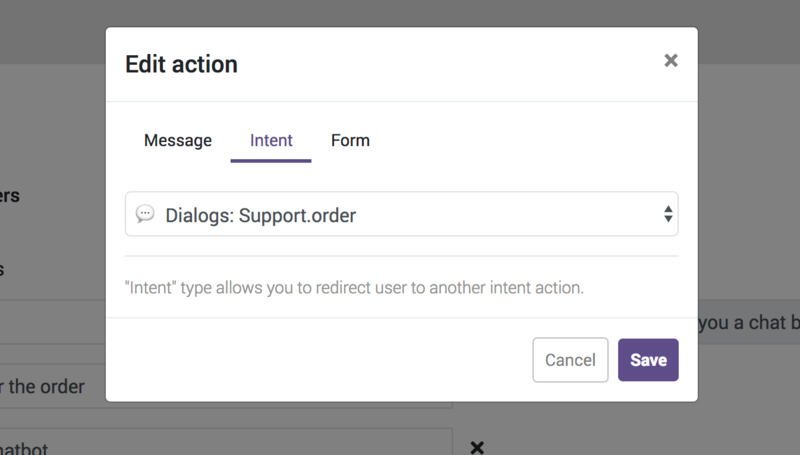 For example, an intent may be created with a set of activator phrases that will trigger a certain function or an order checkout. The assistant’s performance only depends on your content! 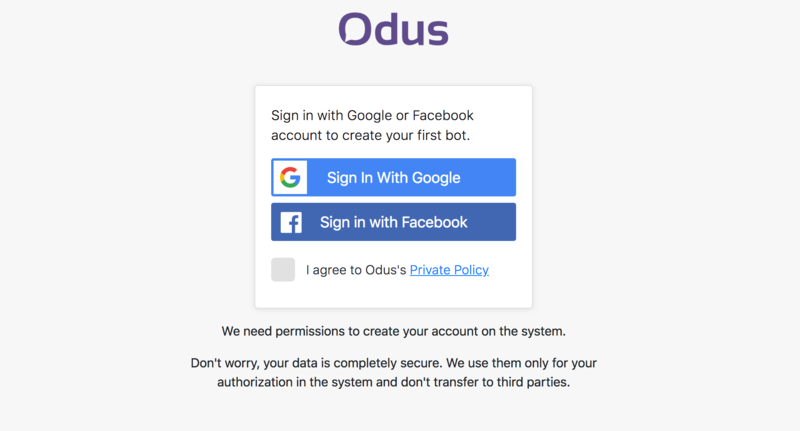 However, if the data available are insufficient, you will need to track the bot&apos;s communication history with the customers. Every plugin has the required History section designed for this purpose. 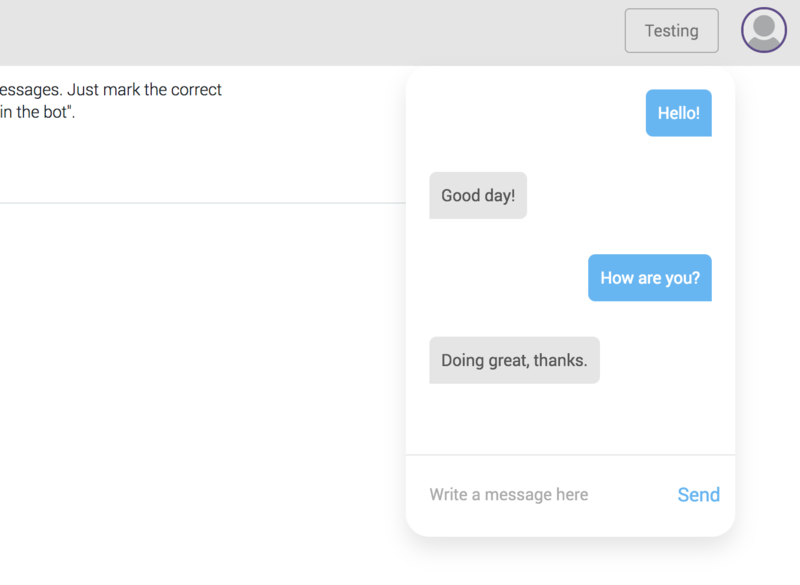 In this section you can distribute questions from customers to relevant intents thereby training your bot. 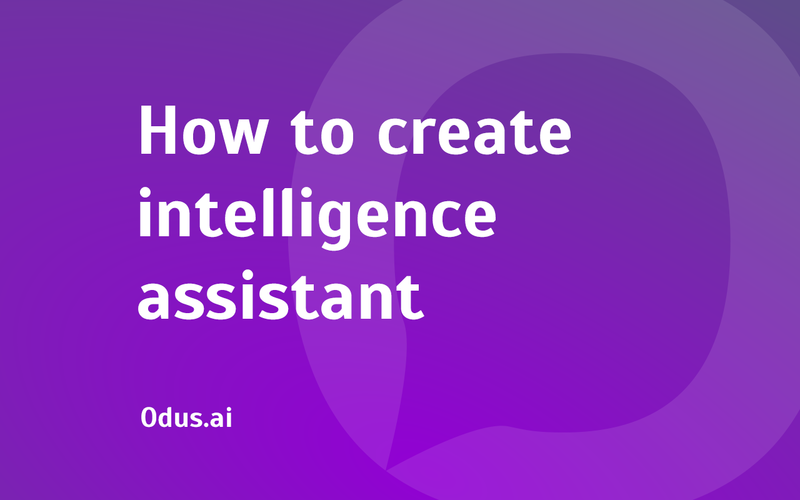 On filling the assistant with the content and doing all the settings, you will need to train your assistant. A special train-the-bot button is provided for the purpose. It works simultaneously on all plugins of your assistant. So there is no need to press it every time a plugin is changed. 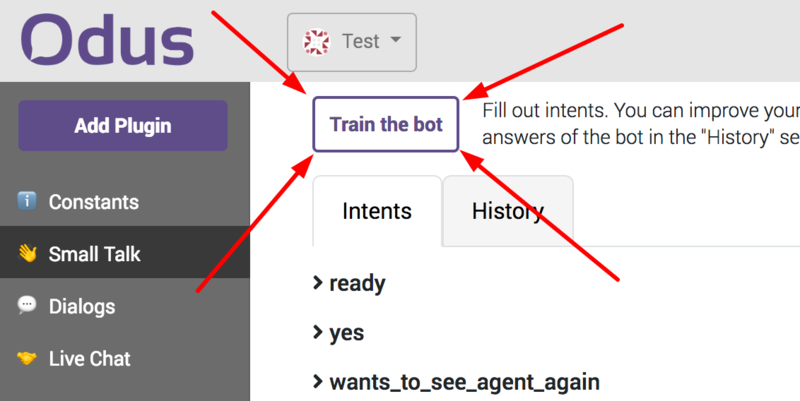 Training the assistant takes some time, so don&apos;t rush to test the bot right after pressing the button. Give the system a few minutes to learn. 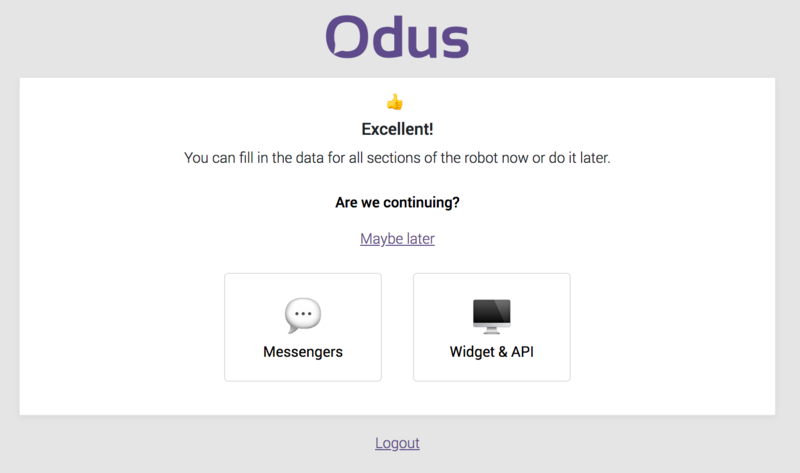 After training, you can test the bot’s performance using the chat window. To do this, click the button in the upper right corner of the control panel, next to your avatar. If everything is OK, you can safely start promoting your assistant. Congratulations on your first step to fully-fledged automation of your business! P.S. In subsequent articles I will explain how to set up broadcasts for maximum efficiency, what functions will come up shortly, and how to finally lay off your sales department. Subscribe to our blog and watch for updates!